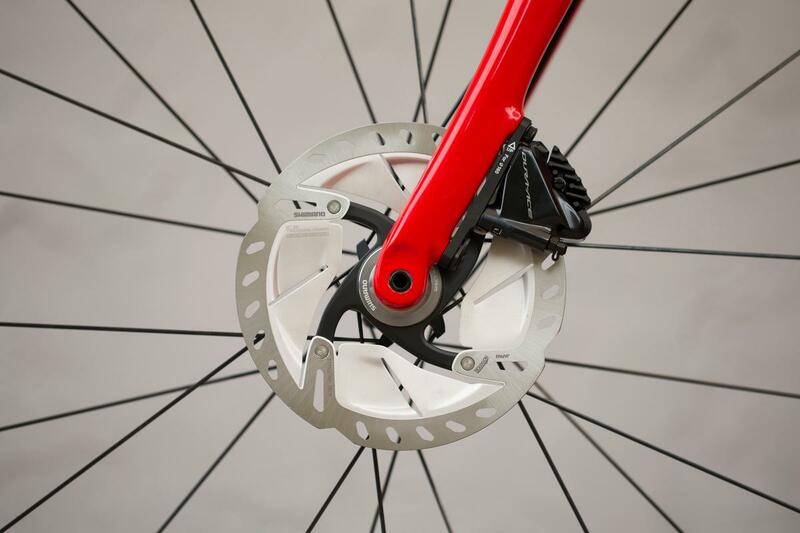 Disc brakes are one of the hottest topics at the moment and it's likely if you're looking to buy a new bike anytime soon, it's a decision you're going to have to make. 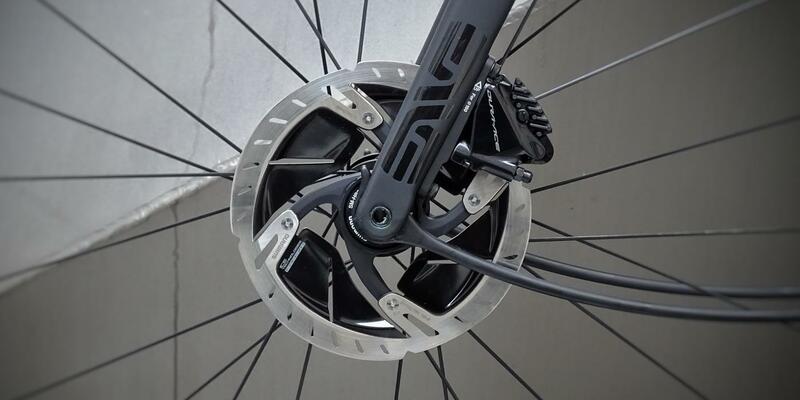 The pros and cons of disc brakes are something Barry and I have been constantly discussing for about the last year or so since we both rode the Haute Route Ventoux in fact. While he was on the new Tarmac SL6 with rim brakes, I was on the brand new Trek Emonda SLR with disc brakes. The first taste was on the climb - you've got to earn the descents - and weighing in at 6.7kg for a size 56cm, it was clear the bike wasn't heavy. Granted it might have a small weight penalty compared to a rim brake version, but when you're getting below 7kg I tend to think that extra weight savings are hard to distinguish. It relatively flew up the mountain. The real test though was on the descents. Flat out fast and with a good mix of gently curving bends and tight hairpins, and riding solo and in a fast moving peloton on the first stage, the disc brakes came into their own. 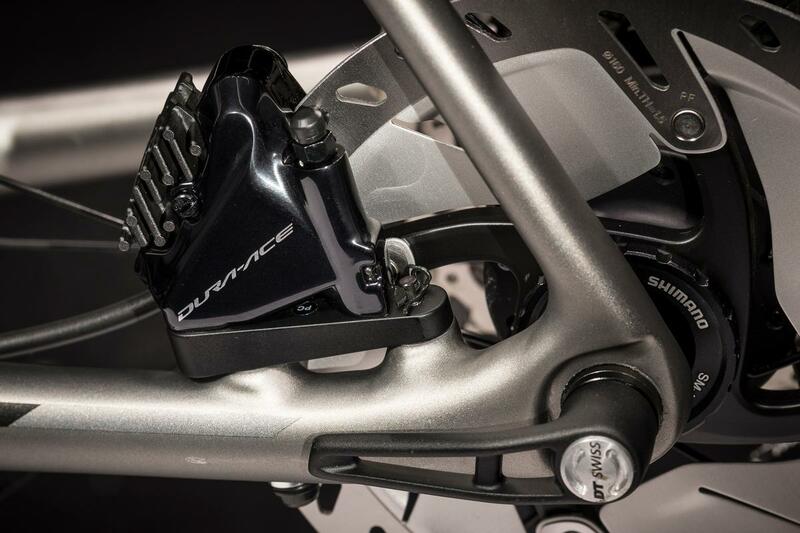 The power of the hydraulic discs allows single finger activation of the brake levers. Compare that to rim brakes with carbon wheels when you might have two or even three fingers pulling increasingly harder on the rims as you brake into a corner, and being able to brake with such ease is a godsend when you're hurtling down a mountain, that you've never ridden before, at speeds in excess of 80kph. Towards the end of the long and tiring stages, this easier braking was a real boon too. It's when you're tired that you make mistakes, especially if you're not super confident at speed. Excessive clamping of the brake levers can lead to arm strain, adding in some bad weather or rubbish road surfaces can exacerbate the problem. Braking for the 20 or 30 minutes it might take to get down a mountain descent isn't always a lot of fun for people that don't much like descending. Because hydraulic discs have more power, and that power is so easily dished out, you don't get tired on a long mountain descent. You spend less time braking and more time enjoying the ride. You also don't need to plan so far ahead into a corner, I had fewer moments when I arrived into the corner with too much speed because I hadn't anticipated my arrival speed correctly. Control was the key takeaway impression. Having disc brakes wasn't all about increasing speed on the descents, though that's clearly an argument in favour of superior brakes, just having more control at my own comfortable descending speed. But because I had more confidence in my brakes, I was able to allow the bike to run faster between turns simply because I knew I'd be able to safely bring the speed down before the next corner. With rim brakes, it is possible to find yourself in a situation of being afraid to really let the bike run off at full speed, especially if riding carbon rims and your skills and commitment aren't pro level. Everyone has their comfort zone on the descents, disc brakes simply increase that comfort zone and let you, and I really believe this, enjoy the descents a lot more. Sounds like disc brakes are good then, but I know not everyone will believe me or feel the same way. I'm only writing this after extensive time on various disc brake bikes, including the stunning Trek Emonda. There's no greater test than actually putting this new equipment through its paces. 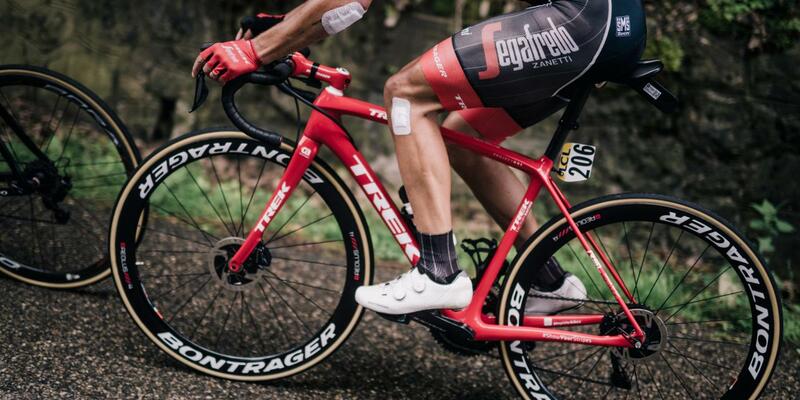 below: Trek's Emonda Disc in action at the 2018 Dauphiné.